Mark Western is Director of the Institute for Social Science Research and a Fellow of the Academy of Social Sciences in Australia. As Institute Director Mark is responsible and accountable for all aspects of the Institute’s strategy and operations. He has previously worked at the Australian National University and the University of Tasmania, and held visiting appointments at the University of Wisconsin-Madison, the University of Manchester, and the Institute of Education, London. Mark is an International Fellow of the Centre for the Study of Poverty and Inequality at Stanford University, a Chief Investigator on the ARC Centre of Excellence for Children and Families Over the Life course and a former Chief Investigator on the ARC Centre of Excellence in Policing and Security. Mark is also a Board Member of the Cathie Marsh Institute for Social Research at the University of Manchester. Aside from Centre of Excellence funding, Mark has held research grants and government contracts worth over $20 million. He has edited and authored 7 books, and over 100 book chapters, journal articles and commissioned reports. My interests in research methods are both technical and more broadly methodological. I am interested in how to improve quantitative methods like social surveys and statistical analyses to generate more valid and reliable conclusions from these kinds of data. I am also interested in how to use new computational methods like machine learning on very large social science datasets, to identify patterns, classify observations, and make better predictions. At the more methodological level, I am interested in how to design research projects and analyse data to produce useful information in real settings where we need certain kinds of good answers - for instance, knowing if a social program works in a real community that is subject to many overlapping programs, where we have too much information, but too few observations for conventional methods to work well. I am also increasingly interested in how working closely with stakeholder communities can enrich social science research and help social scientists avoid making errors, including harmful errors, that come from being too theoretical and abstract, and not sufficiently grounded in the realities they are studying. This work focuses on how to strengthen connections between social science research and "real-world" problems in order to develop better solutions, enhance the relevance and public value of university research, and improve research quality. The key to better "solution-oriented" social science is to build strong partnerships between university researchers, government, industry, not-for-profits and civil society. I am interested in doing solution-oriented social science to address specific problems and also in researching how to do it better. This work focuses on understanding the dimensions and causes of social and economic inequality in rich countries, and what to do about it. This work focuses on understanding how people's opportunities for social and economic mobility are shaped by factors they don't control, such as the family they are born into and the associated advantages and disadvantages that flow from this, and factors that may be partly controllable, such as effort and motivation. I am also interested in how useful it is to talk about equal opportunities when individual success and lack of success come from a complex tangle of factors we can and cannot control, including factors we do not choose. Social class remains one powerful way of explaining inequalities in desired rewards, and differences in certain kinds of sociopolitical behaviour and attitudes. I am interested in understanding how class "works" in countries like Australia to shape inequality, attitudes and behaviour, and whether it is becoming more or less important over time. Mark has led or contributed to projects which have had direct impacts on policy and practice. In 2001 he led the team which produced one of the first national studies of General Practitioners' use of information technology for the Australian Department of Health. In 2005- 2006 he led a team which produced estimates of international students' non-tuition fee expenditure which were used in the Australian National Accounts to help quantify the export value of Australian education. He also led the first national study of the employment outcomes of graduates of Australian PhD training programs. 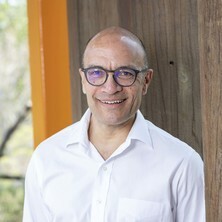 More recently, he has also worked on major evaluations of government policies and programs, such as the national Paid Parental Leave Scheme, and developed evaluation frameworks for major policy initiatives such as the Health and Hospitals Fund, which supported national health infrastructure, and the Queensland Government's 10 year Domestic and Family Violence Prevention Strategy. Mark also sits on a number of Advisory and Expert Reference Groups for non-government organisations, and State and Federal Government Departments. Mark particularly enjoys working with partners in government, industry and the not-for-profit sector on problems that matter to them and have real-world relevance and impact. Intergenerational economic mobility in contemporary Australia: Is Australia still the land of the 'fair go'? Population Synthesis for Travel Demand Modelling in Australian cities. Australian Social Attitudes 2: Citzenship, Work and Aspirations. Edited by David Denemark, Gabrielle Meagher, Shaun Wilson, Mark C. Western and Phillips, Timothy Sydney, NSW: UNSW Press, 2007. Australian Social Attributes: The First Report. Edited by Shaun Wilson, Gabrielle Meagher, Rachel Gibson, David Denemark and Mark Western Western Sydney: University of New South Wales Press, 2005. Engaged Citizens: Are Post Materialists Making a Difference? Is there income mobility in the Philippines? What are the housing tenure pathways of income support recipients over time? Developments in educational and occupational mobility in Australia: are the chances of young people from low socio-economic backgrounds improving? Is democracy needed for health systems performance assessments? Second generation Australians and their aspirations: Do gender and ethnic background matter? Utilization of computer technology in general practice: Does attitude matter? Postmaterial value shift: Generational replacement or question order effect? Postmaterialism and age: An Australian anomaly? Postmaterialism and age: Australian anomoly or cross-national pattern? Infrastructure for a Spatially Integrated Social Science e-Research Facility. A Foucauldian and Quantitative Analysis of NAPLAN, the category 'Language Background Other Than English', and English as a Second Language Level. Youth internet engagement and inequality in Australian society.